The Lady Bird Johnson Wildflower Center is now officially a component of The University of Texas at Austin, with approval by the Texas Higher Education Coordinating Board Committee on Strategic Planning on Sept. 5. The center, founded by Mrs. Johnson to increase the use and conservation of native plants, has become an Organized Research Unit of the College of Natural Sciences and the School of Architecture. Staff at the center became university employees on Sept. 1. Coordinating Board committees can give final approval for gifts of property valued between $10 and $25 million. The Wildflower Center is valued at $19.7 million. 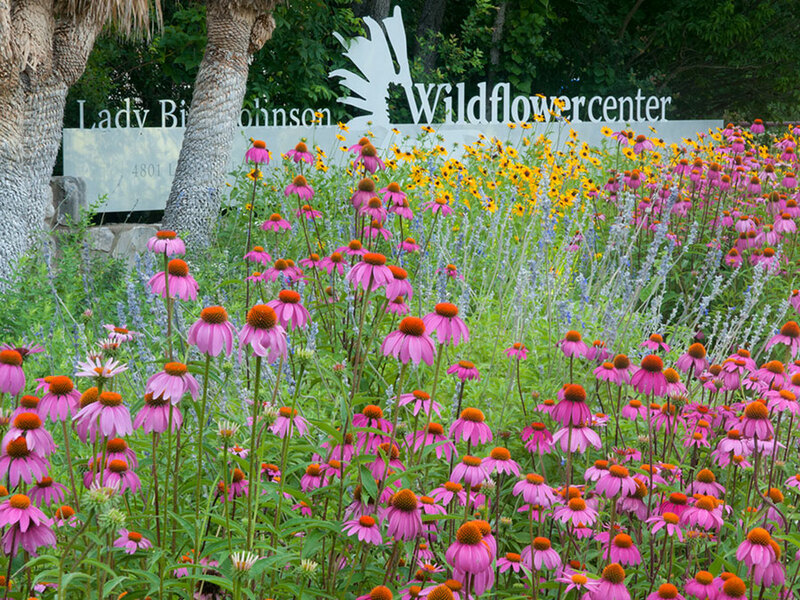 The Wildflower Center board approved the final master agreement on Aug. 28. The board now becomes an advisory council headed by Lynn Meredith of Austin that will provide fundraising and other support for the center. 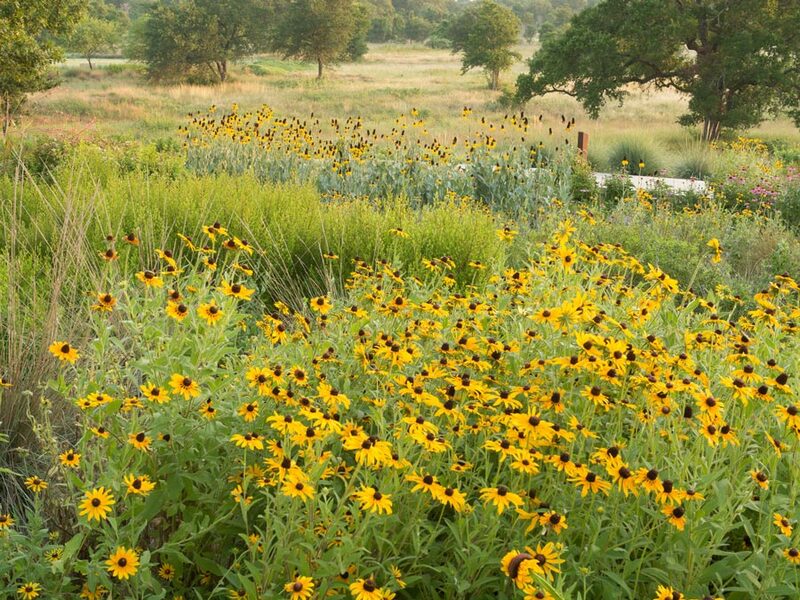 The master agreement transfers the Wildflower Center assets, including 279 acres, numerous buildings, an endowment and intellectual property, to the university. A small fund will be retained by the center for contingencies. Developing educational materials on native plants. The University of Texas System Board of Regents authorized the university and center to proceed with the union on June 20. The center was founded in 1982 by Mrs. Johnson and actress Helen Hayes as the National Wildflower Research Center. In 1995, the center moved to its present site at 4801 La Crosse Avenue and opened a complex designed as a model of total resource conservation. The center and its gardens are open to the public Tuesday through Saturday from 9 a.m. to 5:30 p.m. and from noon to 5:30 p.m. Sunday.